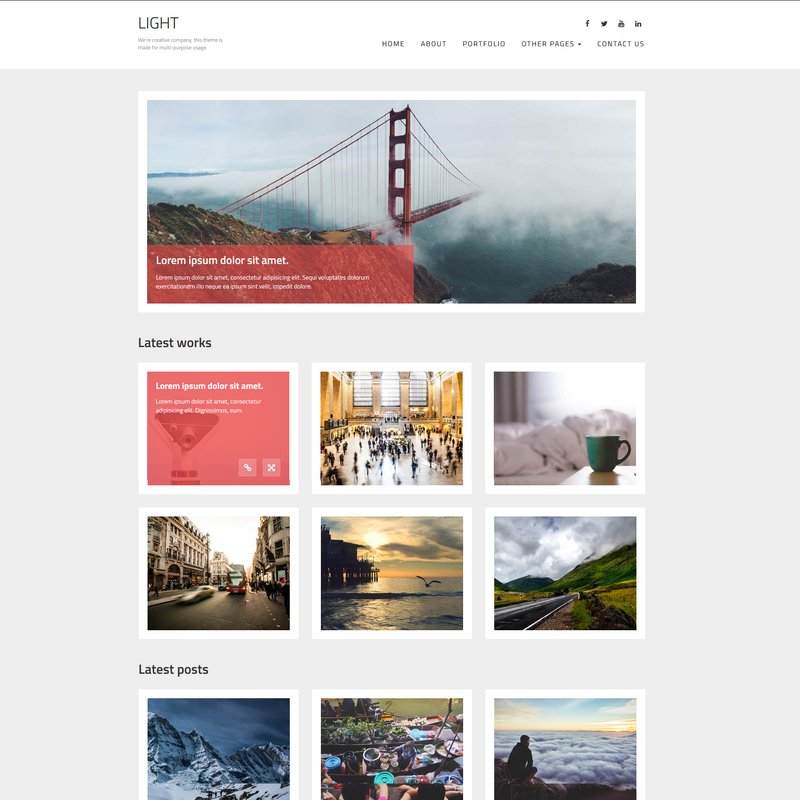 Light is a very clean & minimal portfolio template. Light has awesome tyopgraphy for attractive look. Light is identical for any type or portfolio, personal blog or any small business website. 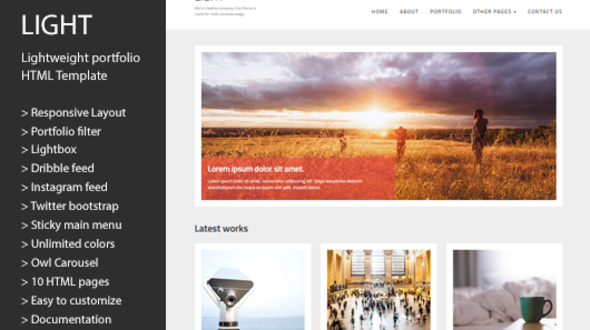 Light includes awesome jQuery effects, jQuery sliders & it has portfolio filter functionality. Light is built with latest version of twitter bootstrap. Light has photo streaming feature form dribble & instagram. Light includes google map API so everyone can embed fullscreen map by using location. The template is very responsive for any type of layout such of mobile, tablet or bigger display like iMac. Product support is our main target, not selling. Just drop us an email or open a thread in support area, we’ll glad to help you.